Jobs go at Mini | What Car? Hundreds of workers are to lose their jobs at the Mini plant in Oxford. A statement from the company said that almost 300 agency workers would lose their jobs as a result of a decision to cut its Friday late shift from January. 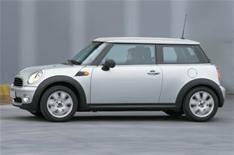 Mini says the move is a temporary measure to balance production with the current downturn in demand for new cars. Mini announced earlier this month that it was to reduce production at its Oxford and Swindon plants and extend the Christmas break by two weeks.